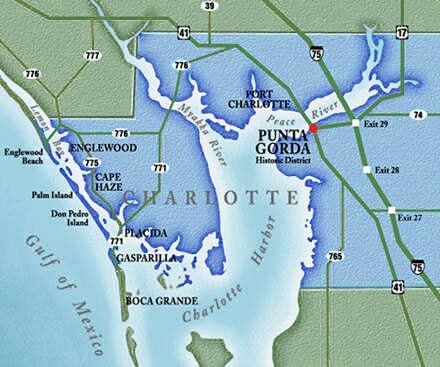 Punta Gorda juts into Charlotte Harbor at the point where the Peace River flows into the harbor. The name “Punta Gorda” means “fat point” in Spanish, and was so named because of its broad point jutting out into Charlotte Harbor. A quaint waterfront community with state Historic District Status, Punta Gorda is Charlotte County’s only incorporated city. Located on the southern side of the Peace River, Punta Gorda includes the communities of Punta Gorda Isles and Burnt Store Isles, in addition to more rural areas in the eastern part of the county. Living in Florida since 1997, I have experienced the nice life on the water, but I LOVE the country best!!! This page and the pages linked to it will give you a tour of the premier rural communities in Charlotte County: Prairie Creek Estates, Prairie Creek Park, and Prairie Creek West. All three provide the ingredients for privacy and the serene setting for grazing horses and wildlife. Charlotte County is one of the “hard-to beat” areas that provides the country setting you are looking for. 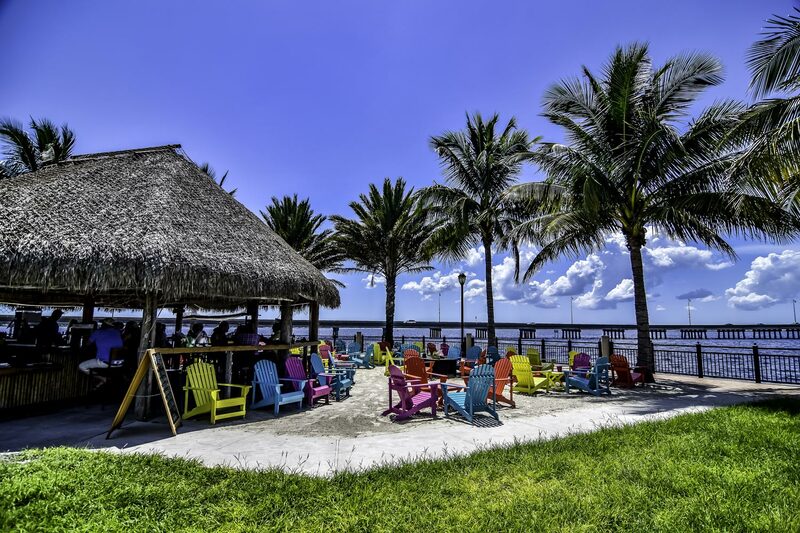 Charlotte County’s sunny, sub-tropical climate means that you can enjoy your favorite outdoor activities all year round — boating, golfing, riding, fishing, or just relaxing at the Tiki Bar on the waterfront. Are you a horse lover? You can attend a horse show every weekend within a fifty mile radius of Punta Gorda. Or better yet, check out the many areas to ride horses such as Cecil M. Webb Wildlife Management Area and others. Are you looking for privacy and a country setting? Then this is the area for you. It’s ideal for a country retreat!!! Remember: Because of the sunny, sub-tropical climate that exists in Charlotte County, you can enjoy your favorite outdoor activities all year round!!! Riding horses, boating, canoeing, golfing, fishing, or riding around in your sports car.